Last year's Fort McMurray wildfires represented the costliest insured disaster in Canadian history, so it's no surprise that the fallout arising from it figured prominently in J.D. Power's 2017 Canadian Home Insurance Study. According to the study, Western Canadian regional home insurers experienced a 10-point year-over-year decline in customer satisfaction with the claims process from 2016 to 2017. Overall satisfaction, under J.D. Power's methodology, is calculated on a 1,000-point scale that encompasses five factors (listed here in order of importance): non-claim interaction, policy offerings, price, billing and payment, and claims. As J.D. Power's director of the insurance practice, Valerie Monet, explains, all of those factors can become intertwined in times of intense disaster. "Catastrophic claims on the scale of what we've been seeing over the past few years in Western Canada, and over the past several weeks in Quebec, have put a tremendous strain on insurance carrier resources, affecting everything from longer than average claim payment cycles to customers experiencing greater annual premium increases," said Monet. Despite that interconnectedness though, customer satisfaction did improve overall out West. Thanks to non-claim elements such as customer service and website navigation, overall satisfaction for that region actually improved by 37 points during that year-over-year period. The study also ranked customer satisfaction on an insurer by insurer basis. Results showed that Quebec's most highly-ranked insurers were RSA, La Capitale, and The Personal; the Atlantic/Ontario region's were The Co-operators, Economical Insurance, and Allstate; and the Western region's were Portage Mutual, The Co-operators, and BCAA. Another major finding the study unearthed was that there is a notable disconnect—at least in the realm of flooding—between perceived and actual coverage. Close to half (48 per cent) of respondents in Quebec were under the impression that they had overland flood coverage, a figure that is far out of line with the 10-15 per cent of Canadian homeowners that actually have such coverage, according to estimates from the Insurance Bureau of Canada. 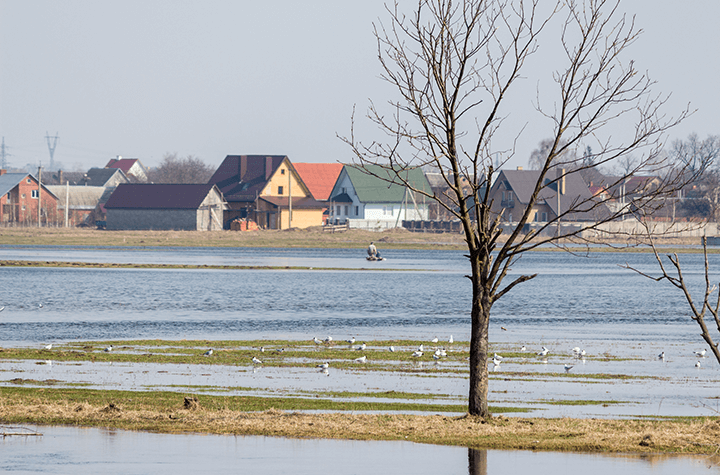 For many policies, flooding is a named peril that must explicitly be added, something a relatively small number of homeowners are aware of.